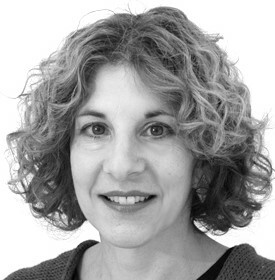 Barbra Danin is a Licensed Marriage & Family Therapist, Clinical Art Therapist and Certified EMDR Therapist. Barbra Danin received her Master’s Degree in Marriage & Family Therapy and Clinical Art Therapy from Loyola Marymount University in Los Angeles, and has been in practice for over 30 years. Her experience includes working with young children, preteens and adolescents, adults, groups, couples and families. Barbra has lived throughout the United States and overseas, and has practiced in schools, hospitals, clinics, residential treatment facilities, Family Court and private practice. She has taught courses in Psychology and Art Therapy, and has lectured on issues of mental health both in the US and internationally. Barbra incorporates the use of art expression and EMDR into treatment when appropriate, providing a novel approach to understanding and processing feelings and issues. Through painting, drawing, sculpture and other modes of creative process, art making is highly effective in helping to recognize and express underlying emotions and patterns of thought, offering a non-verbal outlet for uncovering underlying issues. It is the process of art making, rather than the product, that is the focus of the treatment, and is, at times, healing in and of itself. Art Therapy does not require artistic ability, and is appropriate for all ages. » Learn more about Art Therapy. EMDR taps into the natural healing ability of the body, through bilateral stimulation of the brain. This can be done in various ways, including through rapid eye movement, tapping or other physical movements. EMDR has been established by extensive research, and has successfully helped treat millions of individuals. The World Health Organization recognizes EMDR Therapy as having the most successful outcomes in treating trauma. » Learn more about EMDR. Individual Therapy is offered to children, adolescents and adults. When treating children, Barbra works closely with parents and caretakers, offering support and guidance on parenting issues. Work with couples focuses on helping improve relationships by improving communication patterns and facilitating an understanding and acceptance of each other’s feelings. » Learn more about Individual and Couples Counseling. Meeting with family members together helps each one develop an understanding of the roles they play within the system and how they impact one another, in efforts to realign relationships and affect change. This includes families struggling with conflicts, those undergoing or adjusting to divorce, and blended families who are redefining their relationships. » Learn more about Family Therapy. Visit her website at www.barbradanin.com.